Seven years ago, Joy Bradley got the phone call every parent prays they will never get. A nurse told her to come immediately to the hospital. Bradley’s son, Brody Fleming, an athlete, had suffered a massive stroke. And she faced even worse than getting the call. With no hope for Brody, Bradley was asked to donate her son’s organs that perhaps would save another mother’s son, daughter or grandchild. According to the proclamation, a single donor of heart, lungs, liver, kidneys, pancreas and small intestines can save up to eight lives. Donations of tissue can save and heal the lives of more than 75 folks. A single blood donation can help three people. Millions of lives are saved and healed each year by donors. California residents can sign up with the Donate Life California Donor Registry when applying for or renewing their driver’s license or identification cards at the California Department of Motor Vehicles. Mayor Bob Whalen presented the proclamation to Bradley and announced he has a little red dot on his driver’s license. The dot identifies him as a donor. The proclamation encouraged all Californians to check “Yes” when at the DMV or by signing up at www.donateLIFEcalifornia.org or www.doneVIDAcalifornia.org. The next “Open for Business” workshop will be hosted by the City of Laguna Beach on Thursday, April 18, from 6:30 - 8:30 p.m. at the Laguna Beach Community & Susi Q Center. Workshop participants will include Planning Commissioners, representatives from the Laguna Beach Chamber of Commerce, and Anthony Viera, Associate City Planner for the City of Laguna Beach. “These meetings are an excellent way for prospective businesses to get an overview of our City’s processes,” said Planning Commissioner Susan Whitin. “These Open for Business workshops are a great way for existing business owners as well as those that are interested in opening a new business to get answers to questions and information about doing business in Laguna Beach,” said former Laguna Beach Chamber of Commerce Executive Director Laura Henkels. 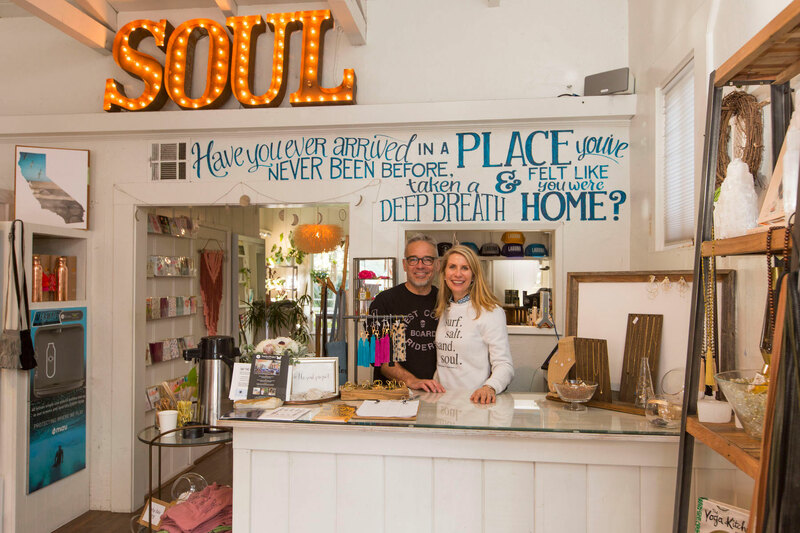 As a result of the workshops last year, several new businesses came to Laguna Beach, and others are planned for the future. 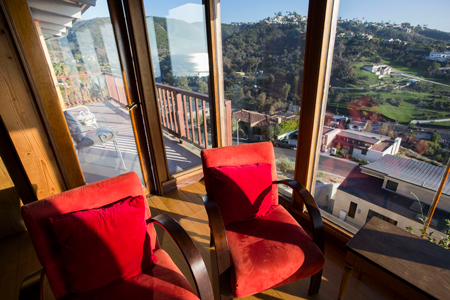 For more information, contact Anthony Viera, Associate Planner at (949) 497-0398 or aviera@lagunabeachcity.net. The Laguna Beach Community Center is located at 380 Third St. The Laguna Beach Beautification Council has been presenting Beautification Awards since 1967 to residents and businesses for their efforts to enhance Laguna’s considerable charm. 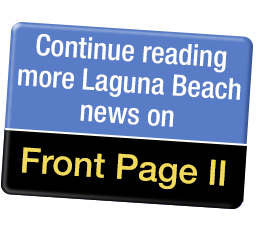 neighborhood associations are invited to send their recommendations for properties that deserve recognition for beautifying the streetscape of Laguna. The deadline to submit nominations is 5 p.m., April 30. A primary requirement for an award is visibility. Whether on private or public property, the nominations must be visible from the street. Nominations may be made for properties in six categories, but only one per category. --Trees: Recognized because of their historic or special place-enhancing qualities – location, age, maintenance, uniqueness, being native or on the Heritage Tree List. The Harry Lawrence Star of Excellence Award was conceived in 2013 as a way to honor the memory of the late Mr. Laguna, and to acknowledge a resident or business that has shown exceptional passion for the beautification of Laguna Beach. Lawrence founded the Beautification Council in 1952. New members are welcomed. Membership and contributions are tax deductible. The council is 501(c)(3) nonprofit. A green thumb not required. Willingness to spend time and effort is. Members assist city committees and busoness groups and often work to support highly visible projects such as the Sister City Garden, Nyes Bridge Park or the upcoming Laguna Village Entrance, according to council records. Members often work and interface with community groups such as Village Laguna, the Laguna Canyon Road Task Force, the Historical Society, the Laguna College of Art + Design, and student organizations that, with the support of the Laguna Beach Unified School District, become a future generation devoted to beautifying Laguna. And what could be more worthwhile than helping identify and honor folks who enhance Laguna. Nominations for the 2019 awards may be sent under the subject line “LBBC 2019 Award” to leahvasquez@cox.net. Contact information is required: include nominator’s name, telephone number and/or email address, address of the nominee, name of the property owner, business or landscape designer, telephone number or email address and specify the award category. Join Laguna Canyon Foundation volunteers on a 5.5-mile run for intermediate level trail runners. This run, with an elevation gain of 600-ft. on the rugged terrain of Laguna Coast Wilderness Park, is a great way to experience the trails. Please come ready to run and have fun. You must wear proper shoes and attire, carry water and energy snacks. For questions, call (949) 497-8324. For ages 16 (with a signed waiver from parent) and up. Waivers can be downloaded at www.lagunacanyon.org/public-programs. Parking $3. Raise your heart rate and your spirits on this strenuous, fast-paced 5.5-mile hike over steep and uneven terrain (900-ft. elevation gain) with Laguna Canyon Foundation volunteers. This is a strenuous, fast-paced hike. Please be sure you can maintain a 19-minute mile pace. Please arrive 15 minutes early. For ages 15 and up. Laguna Coast Wilderness Park, James Dilley Preserve. For questions, call (949) 497-8324 Mon-Fri or (949) 923-2200 Sat/Sun. Parking: $3/vehicle. Raise your heart rate and your spirits on this strenuous, fast-paced, 6-mile hike over steep and uneven terrain (400-ft. elevation gain) with Laguna Canyon Foundation volunteers. This is a strenuous, fast-paced hike. Please be sure you can maintain a 19-minute mile pace. Please arrive 15 minutes early. For ages 15 and up. Aliso & Wood Canyons Wilderness Park, Canyon View Staging Area: Begin at Wood Canyon Trail off Canyon Vistas in Aliso Viejo. From Pacific Park/Canyon Vistas intersection, go Northwest on Canyon Vistas. Park legally (note street signs) on or near Canyon Vistas, preferably between Coastal Oak and Madia (22100 region of Canyon Vistas). Wood Canyon Trail starts as a paved sidewalk between a neighborhood park and tree-lined easement, then becomes dirt trail into the canyon. For questions, call (949) 497-8324 M-F or (949) 923-2235 Sat/Sun. Parking: Free. Join Laguna Canyon Foundation volunteer mountain bike trail assistants on this beautiful 8-mile bike ride (400-ft. elevation gain) on uneven terrain. Learn mountain biking basics and trail etiquette while enjoying the canyon views. Please come prepared with a bike suitable for off-pavement riding, sturdy shoes, helmet, gloves, water, and snack. For ages 15 and up with signed waiver from a parent. The waiver can be downloaded at www.lagunacanyon.org/waiver. Aliso & Wood Canyons Wilderness Park Ranger Headquarters, 28373 Alicia Pkwy. For questions, call (949) 497-8324 Mon-Fri or (949) 923-2235 Sat/Sun. Parking: $3 per vehicle. Catch beautiful canyon views on this 10-mile ride over steep and uneven terrain (1,600-ft. elevation gain) with Laguna Canyon Foundation volunteer mountain bike trail assistants. This is for intermediate riders with mountain biking experience. Appropriate mountain biking equipment is required. Must have helmet, gloves, hydration; a snack is strongly suggested. Also, be prepared for varied weather out in the canyons. This bike ride is not for beginners. For ages 15 and up with signed waiver from a parent. The waiver can be downloaded at www.lagunacanyon.org/waiver. Aliso & Wood Canyons Wilderness Park Ranger Headquarters, 28373 Alicia Pkwy. For questions, call (949) 497-8324 Mon-Fri or (949) 923-2235 Sat/Sun. Parking: $3 per vehicle. April is National Distracted Driving Awareness Month and the Laguna Beach Police Department (LBPD) will be joining law enforcement agencies statewide stopping drivers who violate California’s hands-free cell phone law. In April, LBPD will have additional officers on patrol looking specifically for drivers on their phones. Distracted driving is dangerous, especially when it involves a cell phone. According to preliminary data from the California Highway Patrol (CHP), 66 people were killed and more than 6,500 injured in 2017 from distracted driving-related crashes. Cell phones remain one of the top distractions for drivers. “That text or phone call will never be worth losing a life over. That is why curbing distracted driving is high on our priority list,” said Lieutenant Tim Kleiser. Under the most recent cell phone law, drivers are prohibited from using their phone except in a hands-free manner. Phones must be mounted on the dashboard, windshield, or center console, and can only be touched once with the swipe or tap of a finger to activate or deactivate a function. First-time offenders face a $162 fine. If you need to make a call or text someone, pull over and park at a safe location. 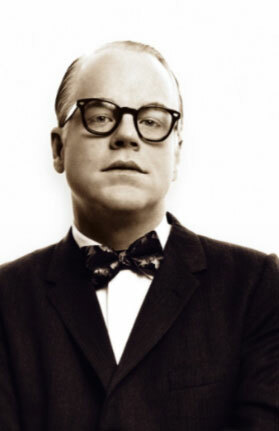 On Thursday, April 18 at 6 p.m., Laguna Art Museum presents a special Film Night featuring Capote. The 2005 biographical film about Truman Capote follows the events during the writing of Capote’s book, In Cold Blood. The film is based on Gerald Clarke’s biography Capote and directed by Bennett Miller. Philip Seymour Hoffman won the Academy Award for Best Actor for his critically acclaimed portrayal of the title character. Tickets are included with museum admission. Advance tickets are recommended. Film Night is generously sponsored by Compass. For questions or to purchase tickets by phone, call (949) 494-8971 x203. Laguna Art Museum is located at 307 Cliff Dr. If you love hiking, lace up those boots. The backcountry and wilderness areas offer you 18 miles of hiking trails through 2,400 acres of native wilderness, mostly the endangered coastal sage scrub plant community. For energetic backpackers, there are three environmental campgrounds, one in the canyon and two at the higher elevations. The higher trails offer beautiful vistas of the mountainous backcountry, geological formations and the Pacific Ocean. Exploring the lower trails offers hiking through riparian woodlands with oak and sycamore trees along the seasonal Moro Creek. Whether you trek the high or low trails or both, you will see native plants and animals that call this park home. Enjoy a free sea glass jewelry making activity and learn how to turn sea glass into a one of a kind creation each Wednesday in the Education Commons in the Historic District at Crystal Cove State Park. Park in the Los Trancos lot (PCH inland at Los Trancos stoplight then walk across the street or take the shuttle). Day-use fee: $5/per hour (max. $15). Help celebrate Earth Day at Crystal Cove State Park. Projects include: weeding, sanding and painting signs, waxing lifeguard towers, installing trash can lids, and cleaning the 3.5 miles of beach. Earth Day is always a great opportunity for park lovers to get their hands dirty and see the immediate fruits of their labor. Meet at the Los Trancos parking lot near the trailer (PCH inland at the Los Trancos stoplight). Day-use fee: $5/per hour (max. $15). Sat, April 20, 9 a.m. The gray whales are still migrating and Crystal Cove State Park is a great spot to look for them. Join a naturalist for a Gray Whale “Twalk” and learn some fun facts about the California State Marine Mammal as the group walks the bluff trail and scans the ocean for the migrants at each overlook. Meet at Pelican Point lot #4 (PCH coastward at Newport Coast – left at kiosk to the last lot). Day-use fee: $5/per hour (max. $15). Sun, April 21, 9 a.m.
Spring is the most exciting time to learn about our local nature. 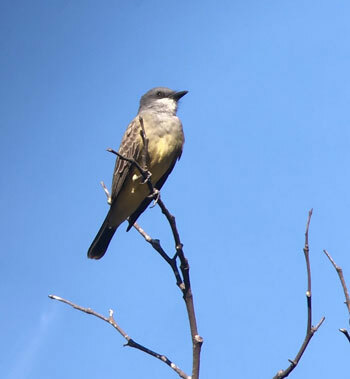 Join park naturalists on a family nature and wildflower hike at Crystal Cove State Park to learn about the plants and animals living in the park. Meet at the Berns Amphitheater (PCH inland at School-State Park stoplight – follow the signs to the Campground/Moro day use). Day-use fee: $5/per hour (max. $15). Take a walk through the renovated 12-acre Historic District at Crystal Cove State Park. Former lifelong resident Laura Davick will share stories about the colorful past of the Cove including the history, its rescue, and the plans for restoring the remaining 17 cottages. 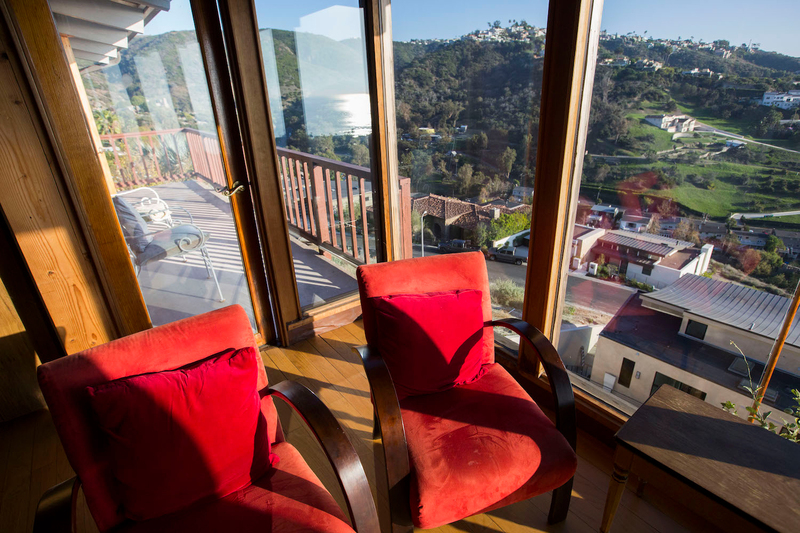 Park at Los Trancos parking lot then cross PCH at the signaled intersection and walk across the marked pathways and meet at the bluff top deck of the overnight rental check-in cottage. Day-use fee: $5/per hour (max. $15). About Tidepool Etiquette: Crystal Cove State Park is a Marine Protected Area. Taking or possessing tidepool sea life is illegal. To help preserve the longevity of the tidepools: never remove animals, shells or rocks; never pick up animals, observe them where they are; walk gently, taking care not to step on plants. Sitting in the Bluebird Canyon home he designed and built almost 60 years ago –the home he nearly lost in the 2005 landslide – Alberto (Al) Treviño, 86, is eager to tell me about the new nonprofit website, www.seniors2seniors.com, that he is hoping to launch. The website will connect high school seniors with the elderly. “The goal is to help senior citizens while fulfilling community service hours for high schools,” he explains. The young are tasked with teaching technology to the old, giving them lessons on their smart phones, tablets and other devices. “I want to reach the administrators from each California school district, and get them familiar with the website,” says Al. A big project for a man who claims he’s retired. No question in my mind that this new project will succeed. Al’s vision and accomplishments are legendary in Orange County. 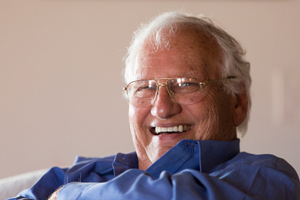 As a landscape architect, Al pushed the boundaries of conventional design. As a Hispanic, he pushed Orange County’s boundaries of discrimination. His professional legacy can be seen throughout Orange County and his influence extends well beyond. His personal legacy will last for generations. 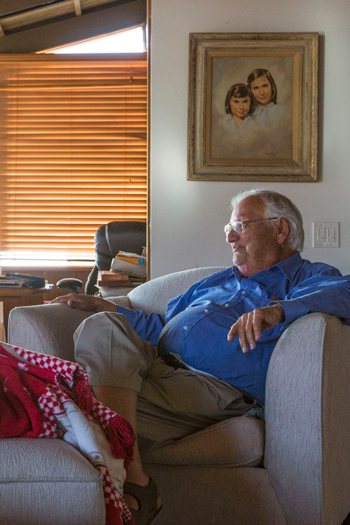 From 60 years of marriage to his beloved wife, Dolores, came 11 children, 22 grandchildren, and a collection of memories that seemingly have no end. Out of Al’s imagination sprung the designs for Fashion Island and Linda Isle in Newport, and University Park and Turtle Rock in Irvine. His hand guided the path of the 405 freeway. His vision inspired Epcot Center in Florida. He served under three U.S. presidents as Assistant Secretary of HUD. Humble, Al claims things were different with his generation. He felt less spoiled, more serious, and in tune with the generations before. He says luck played a role, and the people he met along the way made all the difference. People like Frank Gehry, George Argyros, Howard Bolzt and even Joseph Kleitsch, though the latter’s influence occurred via a painting rather than a serendipitous meeting. winding road of his life. Al was born in Inglewood in 1931, at the height of the Great Depression. When business dried up in California, his father (who owned a chain of shoe stores) moved their family to El Paso, Texas. Al’s mother, Adelina, was from the Escajeda family. The Escajedas had a long history of power and influence in El Paso, and were the earliest pioneers of the town. King Ferdinand VII of Spain gave the Escajedas a land grant in 1818 and they settled San Elizario and Ysleta. Adelina’s name is still encrusted in the stained glass of the Ysleta mission. In contrast, his father’s family settled in Mexico in 1480. “The Treviños were known as Jews in Spain,” Al tells me. “The king, during the Spanish Inquisition, made a decision to throw out the Jews. They gave my family a choice: stay and be killed, or set sail for the New World.” Today, the Treviños still have a stronghold in Monterrey, Mexico, remaining a rich and powerful family. Although the family returned to southern California during Al’s high school years, these earliest influences were, perhaps, instrumental to Al’s own destiny. Al was one of Orange County’s initial and significant settlers. 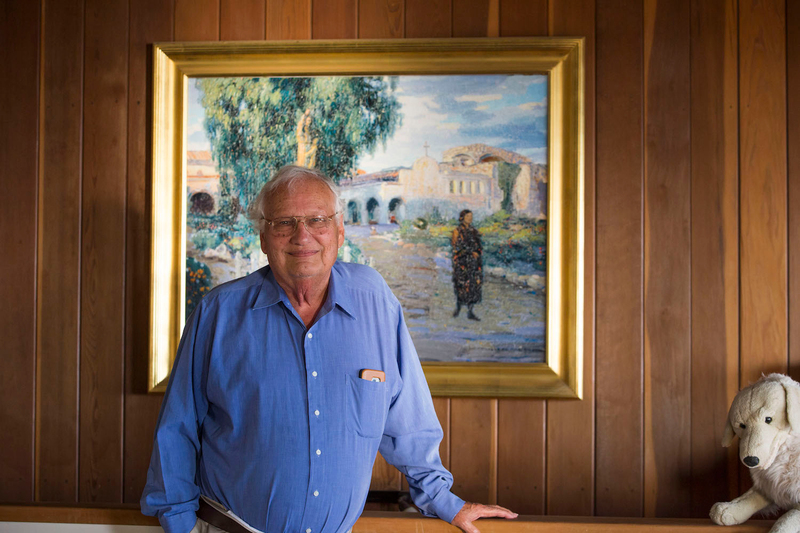 He came to Laguna Beach in the 1960s, before any of the modern-day industries or businesses were built. His was the first house built in his Bluebird Canyon neighborhood. But Al arrived with vision – and degrees from both UC Berkeley and Harvard in landscape architecture. The Depression gave Al drive, and his history gave him confidence. When Al began his academic career, he’d never heard of ‘landscape architecture.’ But he did like plants and trees. So, after graduating from Saint Francis in La Cañada Flintridge, Al set off to Cal Poly Pomona to study horticulture. During a design class, a professor saw his drawings and the head of the department pulled him aside. “You should become a landscape architect,” Howard Boltz told him. “You could get into Berkeley.” This single comment changed the course of Al’s life. But Berkley nearly rejected his already approved application because of one stark ‘C’ on his transcript – in Spanish. “There was discrimination against Hispanics then, and I didn’t give a damn about the class. My mother spoke perfect Spanish. My sisters, to this day, speak Spanish. But I didn’t care about it.” Leland Vaughan, the head of the department and a prominent California architect, looked at Al. “Aren’t you Spanish?” he said, while signing Al’s admissions slip. But the war brought Al nice surprises, too. One day, a starred general showed up asking about Al. He’d heard about Al’s talents in landscape architecture and decided it was time to improve the base. Al was transferred to special services. He was given a staff, a Jeep, and – eventually – a mission to improve all the officers’ facilities across several states throughout the southeast. “I walked into the Corps of Engineers looking for help. I yelled out, ‘Are there any architects here?’” Al recalls. “This little guy in the back raised his hand. He said his name was Frank.” Frank’s last name turned out to be Gehry. Al helped Frank Gehry get a transfer to Special Services, before leaving the army himself and attending Harvard. Al returned to California after Harvard. But Pasadena, where his parents resettled, held no pull for him. Dolores suffered asthma, and the ocean proved better for her health. When Al discovered Laguna Beach – the tiny town that, at the time, held few professional opportunities – his father nearly lost his mind. He’d offered to help Al and Dolores buy their first home, but insisted that home had to be in Pasadena or San Marino. The owner knew Al’s reputation and talent. He agreed to give the property to Al for whatever he could afford. “I was only making $6.50 an hour.” Frank, his new friend and fellow architect, was jealous. He was only making $4.50. Al remains in that same house today. In many ways, the house itself is a metaphor for Al’s life. Beautiful but impossible, perched precariously on the side of the hill. Its 1960s style is quirky, but enduring. The design is bold and ambitious, and the views are beautiful. When he brought his bride to the property nearly 60 years ago, he said, “Pretty nice view isn’t it, Dolores.” Al gets choked up recalling it. Dolores has been gone for over two years, but her absence still feels palpable to Al. “I haven’t really been happy since,” he says. The 2005 Bluebird Canyon landslide hit the Treviños hard. Their house was red/black-tagged. They had 30 minutes to remove a few personal items. Al’s son grabbed his mother’s favorite painting. To Dolores, it had only sentimental value, depicting the San Juan mission she loved. Al picked it up at a garage sale for twenty bucks some years before. When the Treviños discovered insurance didn’t cover landslides, they feared they would lose the home. That’s when their neighbor discovered that the salvaged garage sale painting was, instead, “Evening Shadow,” an original oil from famed plein air painter Joseph Kleitsch (1885-1931). When the painting sold for $500,000 in a private auction, the Treviños were able to rebuild their home. Around Orange County circles, Al is famous for his progressive vision that shaped Fashion Island. The original concept was a conventionally designed indoor mall. But Al didn’t like it. “There’s no need to have an enclosed mall by the ocean,” he told the developers. Basing his design on the Old Orchard mall in Skokie, Illinois, Al spread some cardboard cutouts across a dining room table to show investors his vision. The mall would be open-air, incorporating European-style piazzas and lush landscaping. The design would take advantage of the nearby Pacific and the Mediterranean climate. There would be sky bridges across to the surrounding office buildings with outdoor coffee shops and flower stands. When Al proposed high-rise office buildings in a county that had little more than dirt roads and orange groves, he said, “People thought I was smoking something.” But it all came to pass, just as Al envisioned it – minus the sky bridges, which Donald Bren decided would block visual access to storefront signage. This was the 1960s. Talent, intelligence and experience still weren’t enough to spare a man from the sting of discrimination. When Fashion Island was close to completion, the Irvine Company decided it didn’t want a Hispanic face on the front of its project. A white planner would be hired over Al to give all the presentations pertaining to the project. Al was well aware of the prejudice that existed against Jews and Hispanics in Orange County. The California Club, a country club in Los Angeles infamous for its discriminatory practices, had several prominent Orange County members. He knew it was time to take his leave. Although Al never left Laguna Beach, he took a lucrative offer from General Electric (GE) and continued his storied career, taking on large projects mostly on the east coast. Over the coming decades, he would work for GE and Walt Disney, then as Assistant Secretary at the Department of Housing and Urban Development under Presidents Richard Nixon, Gerald Ford, and George W. Bush and, later, as Assistant Secretary of Policy Development and Research. Shortly after September 11, the White House flew Al to Madrid in an effort to build good relations with Spain. As Al prepared to deliver a speech on urban planning, he discovered George Argyros, famed Orange County real estate investor and U.S. Ambassador to Spain, was in town. The two spent their time together, traveling to Toledo Spain and to Eli Broad’s opening at the Guggenheim Museum Bilbao. “My life has just been events like that,” says Al. I ask the question: Are men like this born or made? As I pull away from Al’s home, watching him take his two caged birds inside for the night and turn off the living room lights, I can relate. I, too, feel lucky. These people we meet along the way – they make all the difference. Do you think City Council should vote tonight (Tuesday, April 16) to make changes to the current/new LBPD car design? The Laguna Beach Chamber of Commerce will host its annual “State of the City” luncheon on Thursday, May 2, from 11:30 a.m. - 1:30 p.m. at the Montage Laguna Beach. The luncheon is a great opportunity to get an up-close look at city activities. 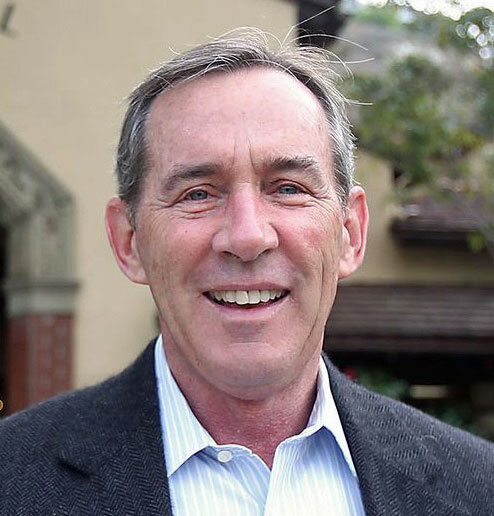 Laguna Beach Mayor Bob Whalen and staff will present a State of the City address. The Chamber of Commerce will provide a brief overview of the recent highlights of the past 12 months and goals for the near future. This annual tradition brings out members across the community, including nonprofits, arts and cultural organizations, business and hospitality industry reps, and other civic-minded individuals. The event is open to the public. As host of the event, the Laguna Beach Chamber of Commerce promotes, represents, and supports local businesses in Laguna, and advocates on their behalf. Celebrating its 102nd year of operation, the Chamber also serves as the business resource center for the community. On an ongoing basis, the Chamber hosts educational seminars, luncheons, and networking events for the local businesses and citizens. The Laguna Beach Chamber of Commerce has served the businesses of Laguna Beach since 1917 as a tool for promoting commerce and allowing members to connect to one another and the community. The Laguna Beach Chamber of Commerce serves over 200-member companies. Its core mission is to promote, represent, and support members of the business community. Admission to the Luncheon is $85 per person. Registration is open through the Chamber’s website at www.lagunabeachchamber.org or by contacting the Chamber at (949) 494-1018. Sponsorship and advertising opportunities are also available. For questions or more information on the Laguna Beach Chamber, contact (949) 494-1018 or info@lagunabeachchamber.org. The Montage is located at 30801 South Coast Hwy. Laura Tarbox will speak at the nonprofit educational event “It’s Your Money!” on Friday, April 19 and Friday, April 26 at 1:30 pm at the Susi Q Center. These sessions are part of a series on Financial Planning, with a focus on finding the right advisor and how to think about your overall financial plan. 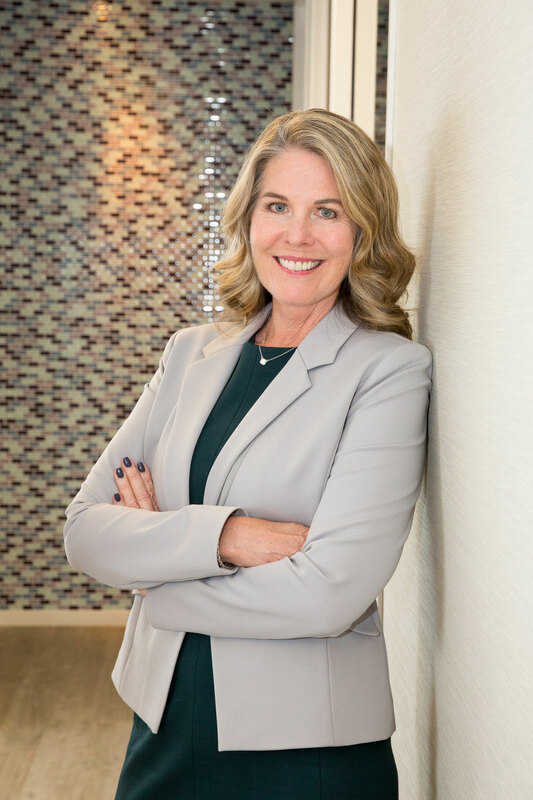 Laguna Beach resident Laura Tarbox is one of the pioneers of the financial planning profession. Her company, Tarbox Family Office, is recognized as one of the top wealth management firms in the country. Tarbox, a UCLA graduate, founded her wealth advisory firm in 1985 and offers fee-only financial planning (including estate and tax planning, charitable giving, insurance and retirement optimization) and investment management. She will talk about how to find the right advisor, the basics of comprehensive financial planning, and how to develop a healthy investment philosophy. “It’s Your Money” is a program moderated by Peter Kote, founder of the workshop series and the not-for-profit www.feelincontrol.org, which complements the workshop series with articles and outlines for each. The Laguna Beach Community and Susi Q Center is located at 380 Third St. Hearing screening and consultation with audiologist Dr. Rose-Marie Davis includes complimentary hearing aid cleaning and minor repairs. Call 949-464-6645 to schedule an appointment. Join Laguna’s LGBT seniors for seasonal potlucks, free movies and snacks, speakers, and outside group events. In good company, the club also enjoys working on community service projects. Thursdays Noon-3pm. Please call ahead. One-on-one help with your laptop, smart phone, or tablet, PC & Mac/Apple, Windows 7&8. Council on Aging and Laguna Beach Seniors introduce the Benefits Enrollment Center at The Susi Q to assist seniors and persons with disabilities find and apply for benefit programs. A caring support group open to individuals over 50 touched by any chronic/serious health related issues. For more information, reach out to facilitator Sandra Weiss at 949-715-8104. For men 50+, get support from the general stress of everyday living and any other issues affecting your well-being. Open group, drop-ins welcome. Contact facilitator Clint Christie, M.A. at 949-715-8104 for details. Providing linkage to resources that promote safety and quality of life. Call for appt. The city’s blue buses now stop right in front of the Susi Q Monday – Saturday all day. Schedules will be posted at all bus stops, so getting here is easier than ever. You won’t have to deal with traffic or parking! Join this discussion of newsworthy events, and topics of special interest. Join us for Bingo every Monday and Thursday from 10:30-11:30am. Try your luck to win prizes and gift cards. National Charity League sponsors “Birthday Celebration Bingo” on the 3rd Wednesday of every month, from 10:30-11:30am. Free every Monday from 12:30-3pm. See movie schedule at www.susiq.org. Mon | 1:30- 2:30pm | Intermediate | $7 per class – Drop-ins welcome! Providing assistance and objective information to help seniors and disabled persons make informed decisions about health care coverage, Medicare benefits and supplemental insurance plan options. Sponsored by the Council on Aging. Call 949-464-6645 for an appointment. Valiant Women of Mission Hospital will celebrate their 25th anniversary at the annual Valiant Women Luncheon and Fashion Show on Friday, May 30 at the beautiful Monarch Beach Resort. The event begins at 10 a.m. with shopping at the silent auction and raffle drawings. The event is made possible through the generous support of this year’s Presenting Sponsor, The Shops at Mission Viejo. A dynamic team of Mission Hospital physicians and nurses will rock the runway, serving as fashion models in summer designs from retailers at The Shops at Mission Viejo including: Brighton Collectibles, Chico’s, Soma, Swiss Watch Gallery & Fine Jewelers, Tommy Bahama and White House | Black Market. Models will have their hair styled compliments of Aveda Botanique Hair Salon and makeup provided by MAC Cosmetics. --Invest in advanced medical and surgical technology to enhance patient care in The Birth Center and Women’s Wellness Center. --Provide critical funding for nursing scholarships through the Valiant Women Nursing Endowment. --Support wellness and prevention care at the new Judi and Bill Leonard Institute for Cancer Prevention, Treatment and Wellness. Four treasured members of the Mission Hospital family will be recognized at the event as Valiant Women Heroes: Caregiver - Adrianna Barnes, RN; Grateful Patient - Michelle Lether; Volunteer leader - Mary Miyamoto; and Philanthropist - Barbara Massrey. Three incredible raffle items will be available: A cosmetic surgery package valued at $4,700 from Dr. James A. Heinrich; a ladies’ 14k rose gold and black rhodium silver ring with a 8.61 carat Smoky Quartz and 1.02 carats of brilliant cut pave set diamonds, valued at $3,950 from Swiss Watch Gallery & Fine Jewelers; and The Shops at Mission Viejo Dream Package with items from multiple retailers. The event sells out quickly, so make arrangements to attend today by contacting Christy at (949) 364-4225 or christy.welch@stjoe.org, or visit www.mission4health.com/vwluncheon. Valiant Women is a group of dedicated community members, united by the Spirit of Giving™ and a common desire to ensure that women of all ages receive quality health care. This special group supports Mission Hospital and is dedicated to meeting the medical, surgical, educational, and spiritual needs of all women. Mission Hospital Foundation is the philanthropic catalyst for Mission Hospital. The foundation embodies the Spirit of Giving™ by building lifelong relationships with community members and raising funds for Mission Hospital. For more information, visit www.mission4health.com. Providing professional legal assistance to seniors age 55+ who cannot afford counsel. Attorney Jane Fulton will provide help and/or referrals for family law; health-related issues; consumer problems; conservatorships; housing; elder abuse; bankruptcy; wills and power of attorney. Must be an OC resident with proof of residency. Call first to make an appointment, 949-715-8104. No walk-ins. Local Attorney Leslie Daff is available to answer questions pertaining to estate planning, probate, and trust administration and to prepare and notarize financial powers of attorney, advanced health care directives, and HIPAA authorizations at no charge. We have Bridge for all levels! Call to find out about classes! We’re welcoming experienced players for weekly rubber bridge play — Tuesdays from 11:00am - 2:00 pm. No partner required, we will match you up. Reach out to facilitator Kathy Olivier at kathyolivier@gmail.com for more details. Fabulous recycled and second time around treasures for sale at bargain prices. Small donated items are always appreciated for drop off from 9am-3pm. No clothing please. Proceeds benefit weekly Bingo and fund the Laguna Beach High School Scholarship from LBS. Join Laguna residents and facilitator Kay Wenger, LMFT, in a supportive atmosphere where concerns, coping skills, and helping tips are shared. Game day fun including Scrabble, Mahjongg and other board games. The Susi Q Community Needle Arts Guild meets on the last Friday of every month at 1pm creating handmade items for local organizations. Join us the first Wednesday of every month from 1-3 p.m. for an informational meeting and informal discussion. Strategies will be shared for dealing with loved ones who are affected by the disease. There is a $25 annual fee. Bring your own paddle or borrow one of ours. All we ask is that you wear non-skidding shoes. All levels of play are welcome! 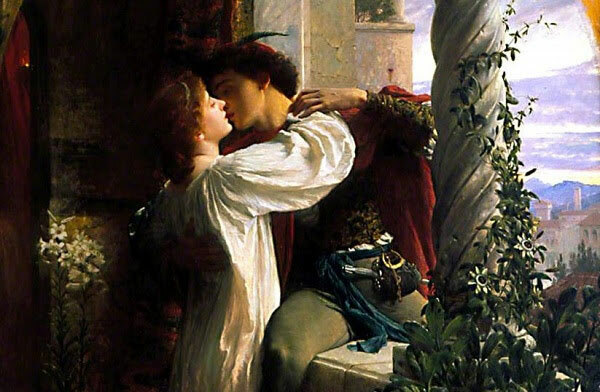 On Thursday, April 25 at 6 p.m., Laguna Art Museum will host UCI professor Julia Lupton and LAM director Malcolm Warner for a presentation in honor of Shakespeare’s birthday, Shakespeare Dwelling. The evening will feature conversation about theater, poetry, and space in the plays of William Shakespeare, with monologues performed by actor Thomas Varga. Tickets are included with museum admission. Advance tickets are recommended. 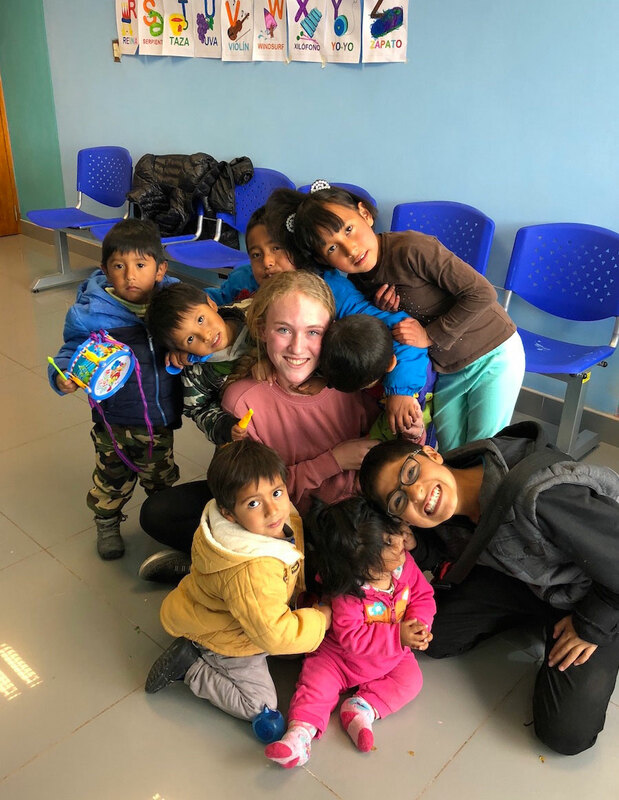 Laguna Beach High School sophomore Katelyn Kolberg was touched by volunteering at the Kausakusun women’s shelter in Cusco, Peru last summer and has organized a fundraiser to support the women and children at the shelter. The shelter helps women who have suffered domestic violence, offering them a refuge to escape the violence and a safe place to re-group and plan for a better life. Most of the women who seek shelter and form part of the program have children. Volunteers spend their time caring for the women and children, offering them companionship, skill learning, education, and attention. The women have made the first step by leaving the abusive situation, however, they now need support to make a better life for themselves. Katelyn is seeking gently used clothing that will be sold at a pop-up event in May to raise money to pay for a sewing teacher at the shelter. Any clothing that is not sold will be donated to Laura’s House, a women’s shelter in Orange County. While volunteering at the shelter, Katelyn was able to get the director to agree to open an abandoned sewing room. Katelyn used her proficient Spanish and sewing skills to teach the women how to sew bags that could be sold for profit. The women at the shelter are fleeing abusive relationships and need the skills to become financially independent. Drop off your clothing at Sourced at 950 Glenneyre St. The deadline for drop off is April 25. Council, Boards, Commissions, Committees – Etc.